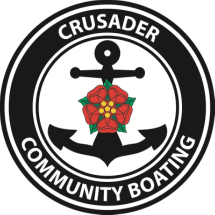 The Mountbatten Crusader is a wide beam boat based at Blisworth Marina with trips running from the wharf at nearby Gayton Junction on the Grand Union Canal (sat nav NN7 3EF). The boat will accommodate up to 20 passengers plus crew. Embarkation is via a short ramp and is fully accessible by wheelchair users and those with walking aids. The boat has a comfortable interior cabin area capable of seating up to 20 passengers, depending on the number of wheelchairs onboard. A small galley area is available for group leaders to serve their own food from and make hot or cold drinks. A disabled toilet with hand basin and emergency alarm completes the internal layout. Warm air heating is provided when required. The front of the boat consists of a large open deck with seating and a number of small tables. The pictures on the slide show below are typical examples of the wonderful scenery and wildlife you might see during your trip. In 2012, Mountbatten Crusader was one of a thousand vessels invited to be part of the Queen's Diamond Jubilee Pageant on the River Thames where she attracted much local and international interest from the media and public, representing the County of Northamptonshire and the United Kingdom in magnificent splendour. In September 2015, Crusader Community Boating was honoured to receive a visit by HRH The Duke of Gloucester who enjoyed a trip on Mountbatten Crusader.